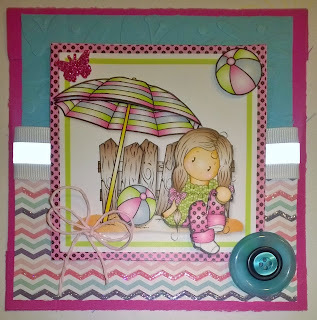 Min söta tjej, här utklipps i 3 D, njuter av solen och deltar i följande utmaningar: Chocolate, Coffee & Cards (Circles & Squares), Creative card Crew (Embossing), Simon Says Wednesday (ATG), Southern Girls (Texture: 3D image, embossing, ribbon and buttons), Crafty Ribbons (Button it up + ribbon), Art by Miran (ATG), Incy Wincy (Inspired by a song: Tomas Ledins En dag på stranden / A day on the beach) och Open-minded Crafting Fun (Pastel colors/easter/spring). 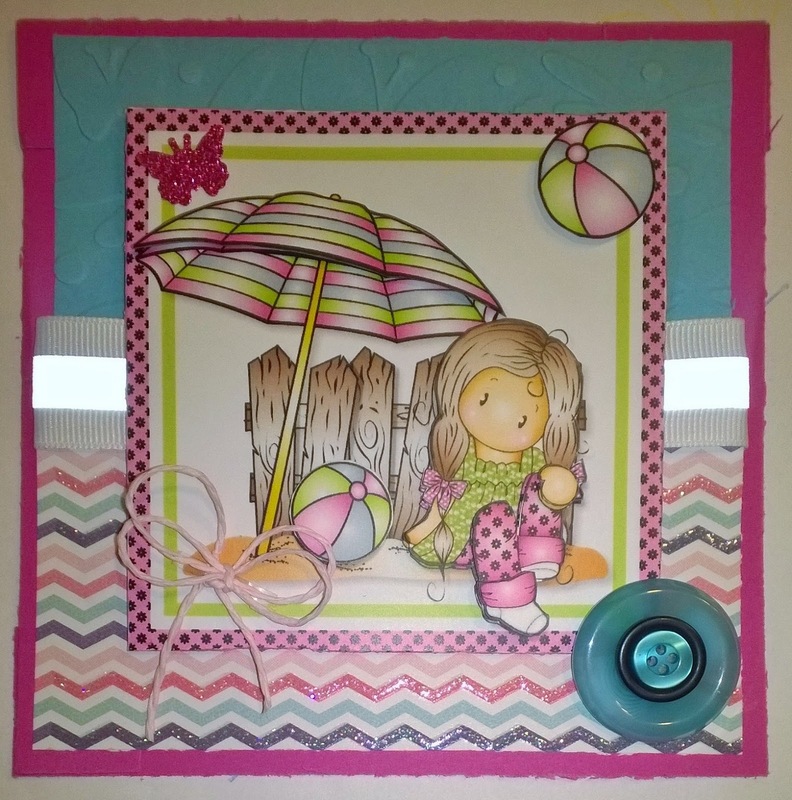 Gorgeous card Jessi..love the 3D image..
Super cute and fun image! Thank you for joining Chocolate, Coffee & Cards for our Circles/Squares challenge! Gorgeous, beautiful card love the sweet image and colours. What a very sweet card lovely image & colours.